Teen Improv | Fall 2018 | Thursdays Ages 14-17 years old. This course will excite and inspire students, introducing them to the wonderful world of improvisation! Through games and physical exercises, students will engage their imagination and creativity. They will practice teamwork and positive communication skills, building their confidence and discovering their own potential in a fun and safe group environment. Dates: Thursdays, September 27th -- November 15th (Showcase Monday November 19th @ 6pm) Time: 5:00 – 6:30pm Instructor: Sammy Jolly Location: The Upfront Studio NOTE: When completing your purchase please leave the name and age of the child you are registering in the comments section of your order. Teen Improv | Winter 2019 | Thursdays Ages 14-17 years old. This course will excite and inspire students, introducing them to the wonderful world of improvisation! Through games and physical exercises, students will engage their imagination and creativity. They will practice teamwork and positive communication skills, building their confidence and discovering their own potential in a fun and safe group environment. Dates: Thursdays, January 17th -- March 7th (Showcase Tuesday March 12th @ 6pm) Time: 4:30 – 6:00pm Instructor: Gillian Myers Location: The Upfront Theatre NOTE: When completing your purchase please leave the name and age of the child you are registering in the comments section of your order. 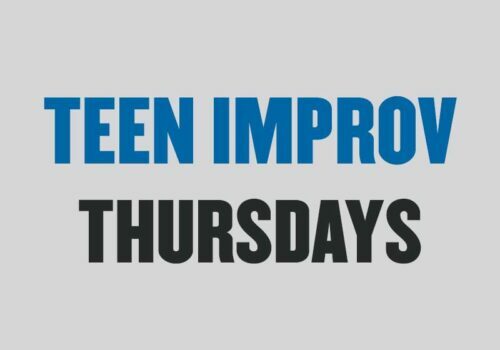 Teen Improv | Spring 2019 | Thursdays Ages 14-17 years old. This course will excite and inspire students, introducing them to the wonderful world of improvisation! Through games and physical exercises, students will engage their imagination and creativity. They will practice teamwork and positive communication skills, building their confidence and discovering their own potential in a fun and safe group environment. Dates: Thursdays, April 11th -- May 30th (Showcase Tuesday June 4th @ 6pm) Time: 4:30 – 6:00pm Instructor: Linnaea Groh Location: The Upfront Theatre NOTE: When completing your purchase please leave the name and age of the child you are registering in the comments section of your order. 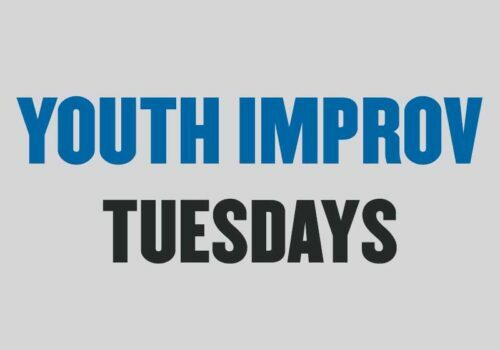 Youth Improv | Fall 2018 | Tuesdays Ages 9-13 years old. This course will excite and inspire students, introducing them to the wonderful world of improvisation! Through games and physical exercises, students will engage their imagination and creativity. They will practice teamwork and positive communication skills, building their confidence and discovering their own potential in a fun and safe group environment. Dates: Tuesdays, September 25th -- November 13th (Showcase Monday November 19th @ 6pm) Time: 4:30 – 6:00pm Instructor: Gillian Myers Location: The Upfront Theatre NOTE: When completing your purchase please leave the name and age of the child you are registering in the comments section of your order. 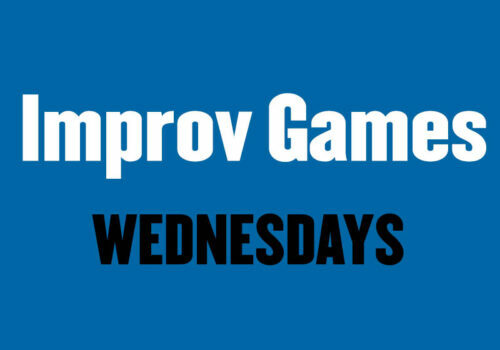 Youth Improv | Winter 2019 | Tuesdays Ages 9-13 years old. This course will excite and inspire students, introducing them to the wonderful world of improvisation! Through games and physical exercises, students will engage their imagination and creativity. They will practice teamwork and positive communication skills, building their confidence and discovering their own potential in a fun and safe group environment. Dates: Tuesdays, January 15th -- March 6th (Showcase Tuesday March 12th @ 6pm) Time: 4:30 – 6:00pm Instructor: Linnaea Groh Location: The Upfront Theatre NOTE: When completing your purchase please leave the name and age of the child you are registering in the comments section of your order. 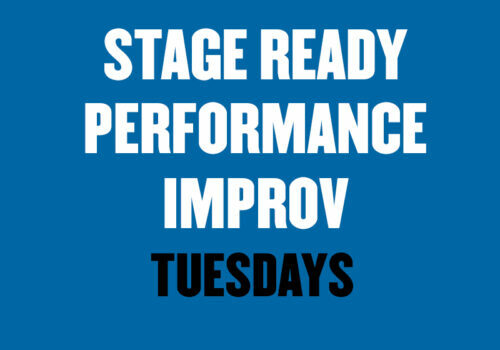 Youth Improv | Spring 2019 | Tuesdays Ages 9-13 years old. This course will excite and inspire students, introducing them to the wonderful world of improvisation! Through games and physical exercises, students will engage their imagination and creativity. They will practice teamwork and positive communication skills, building their confidence and discovering their own potential in a fun and safe group environment. Dates: Tuesdays, April 9th -- May 28th (Showcase Tuesday June 4th @ 6pm) Time: 4:30 – 6:00pm Instructor: Linnaea Groh Location: The Upfront Theatre NOTE: When completing your purchase please leave the name and age of the child you are registering in the comments section of your order. 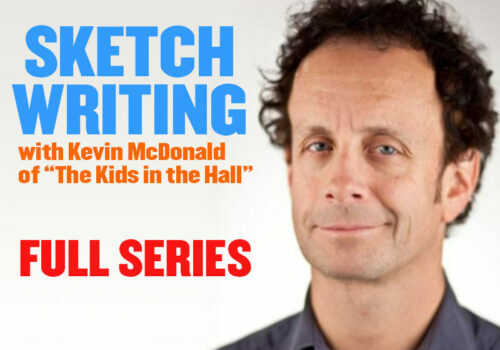 Improv --> Sketch --> Show Kevin will start the day by talking about the basics of sketch comedy and comedy writing. He will then teach the students, The Kids in the Hall method of writing comedy sketches through improv. You'll follow that by playing warm up games that lead you into thinking naturally about writing and performing at the same time. The class will then split into groups and each group will improvise a scene. 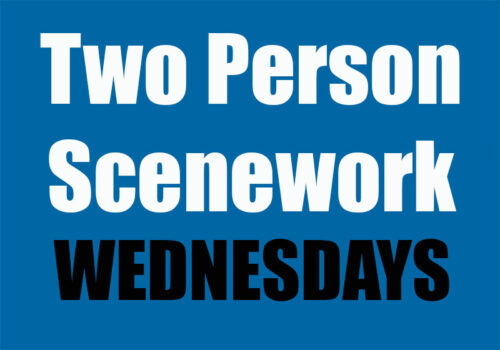 After each scene you will talk about them, give notes and figure out how the scenes could develop into a whole sketch. Then when all the improvised scenes are done, each group and Kevin, work all day to turn every scene that was improvised, into a fully developed comedy sketch. By the end of the day, the class will have 4 to 7 completely new sketches. Kevin will probably also bore the students with Kids in the Hall anecdotes throughout the day. He apologizes beforehand for that. There is no prerequisite improv experience required, and all that's needed is pen, paper and a willingness to learn. This purchase is for the full series sketch workshop and show with Kevin McDonald. The full series includes two full days of class on Saturday and Sunday from 10am-5:30pm and you will be part of the show on Sunday September 23rd at 8pm. Date: Saturday & Sunday, September 22nd & 23rd, 2018. Time: Workshops 10:00am - 5:30pm. Performance at 8pm. Instructor: Kevin McDonald!